The Caliph Vathek is dissolute and debauched, and hungry for knowledge. When the mysterious Giaour offers him boundless treasure and unrivalled power he is willing to sacrifice his god, the lives of innocent children, and his own soul to satisfy his obsession. 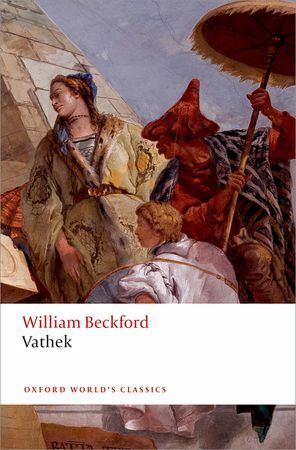 Vathek's extraordinary journey to the subterranean palace of Eblis, and the terrifying fate that there awaits him, is a captivating tale of magic and oriental fantasy, sudden violence and corrupted love, whose mix of moral fable, grotesque comedy, and evocative beauty defies classification. Originally written by Beckford in French at the age of only 21, its dreamlike qualities have influenced writers from Byron to H. P. Lovecraft.